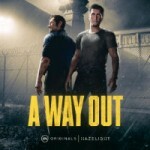 A Way Out must be played with a partner in crime, creating cooperation, antagonism, and communication between the game's two characters, Leo and Vincent. Fugitives on the run, the pair confront a wide gamut of experiences, bringing them together both in the shared purpose of revenge and even in understanding. That the game creates a connection between the characters, and to a lesser extent the players as well, is a measure of success, but that doesn't mean the title always hits its intended mark. 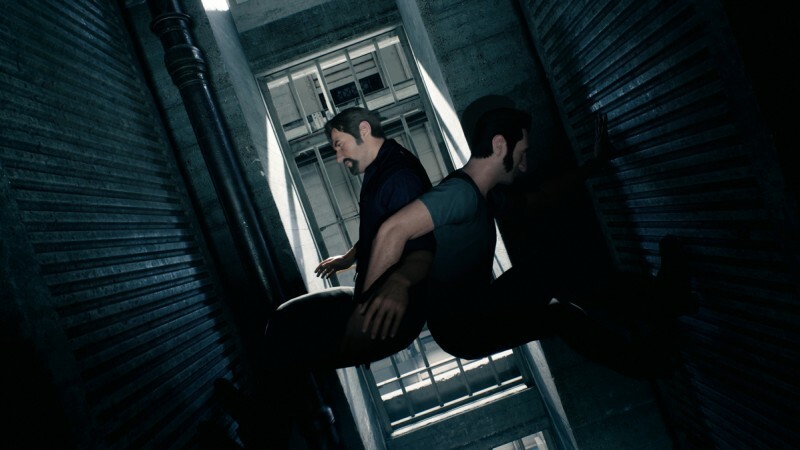 In their attempt to break out of jail and track down the man who has done them both wrong, Leo and Vincent are bonded in spirit and in gameplay. 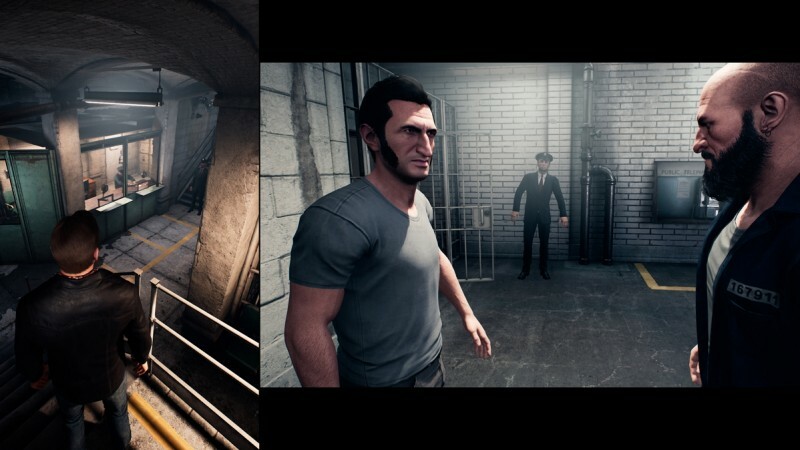 A Way Out often divides into splitscreen (vertical and horizontal) to show both players what their characters are doing, letting each person move around and act freely simultaneously. Apart from some occasionally hard-to-hear audio mixing when there are two different conversations occurring at the same time, the screen system works well. It's not distracting to watch both screens at once if necessary, and the switch to a single screen is also effective. 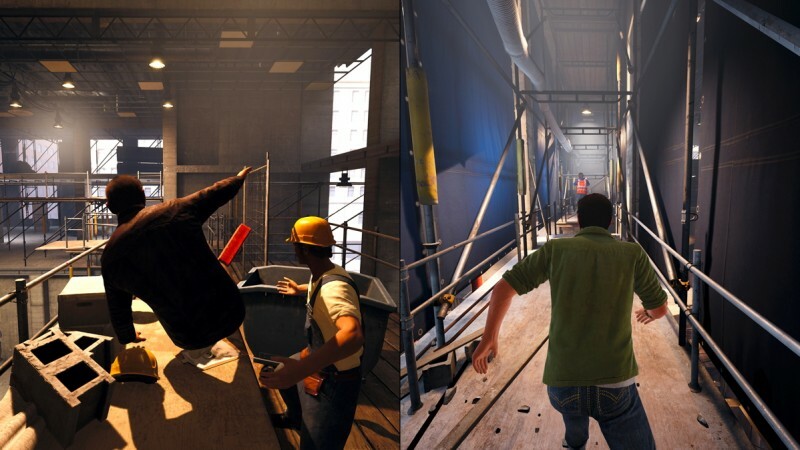 The ultimate expression of this co-op vision is the game's hospital scene, which unfolds in a cinematic single cut that follows both men as they simultaneously evade the police in different parts of the building. The action is not boring visually or physically, and you're focused even when the game camera wipes over to the trouble your comrade is in. Unfortunately, swaths of the gameplay in the title are less absorbing, consisting of simple button presses or mashing that don't always match the possible excitement of what's going on. 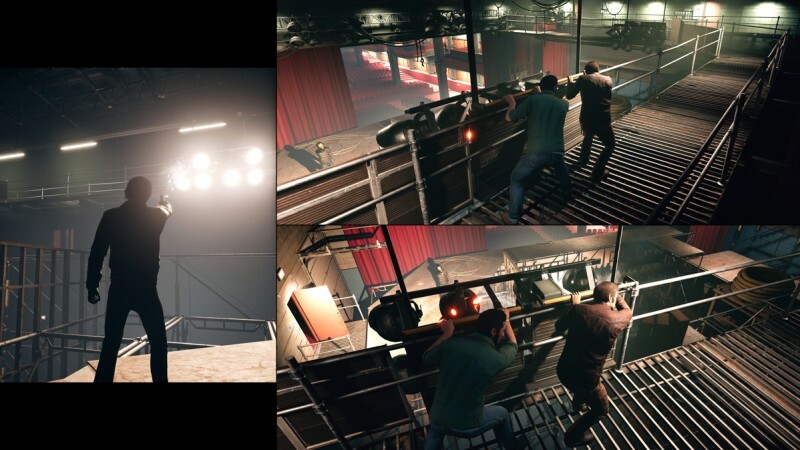 During the jailbreak sequences, for instance, the gameplay and tension of the moment don't always match up effectively. Leo and Vincent often have to work together, but the gameplay doesn't do justice to the title's central component: the characters' solid bond. Moving dumpsters, boosting your partner to a ledge, and performing simple R2 button presses isn't interesting as the game progresses. Hazelight introduces some co-op-focused side activities in the world, from a Pong-like arcade cabinet called Grenade Brothers to darts, baseball, and arm wrestling. But they aren't that engaging, and they slacken the narrative tension rather than fleshing out the world. You can press square to screw in a lightbulb in a barn, but that doesn't make the game better. I enjoyed the way Leo and Vincent's journey ended, as it fits the characters and the co-op format. But even with all they go through from robberies, torture, and family interludes, I wasn't attached to their relationship. Hothead Leo is endearing and well voice-acted, but Leo and Vincent don't have the bond-through-banter that Uncharted characters might, for example. It's fitting that a relationship born of the need to escape prison and defeat a shared enemy comes off as one of convenience that's not strengthened even through gameplay. 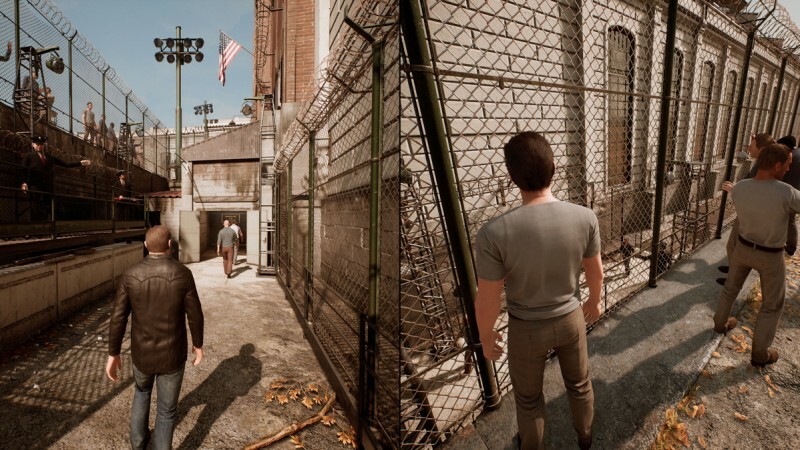 While A Way Out is not a choice-based game per se, the fact that the decision points that are supposed to encapsulate each character's worldview don't actually have repercussive effects in the world (you end up at the same places no matter what) or affect the pair's relationship only dulls their identity. 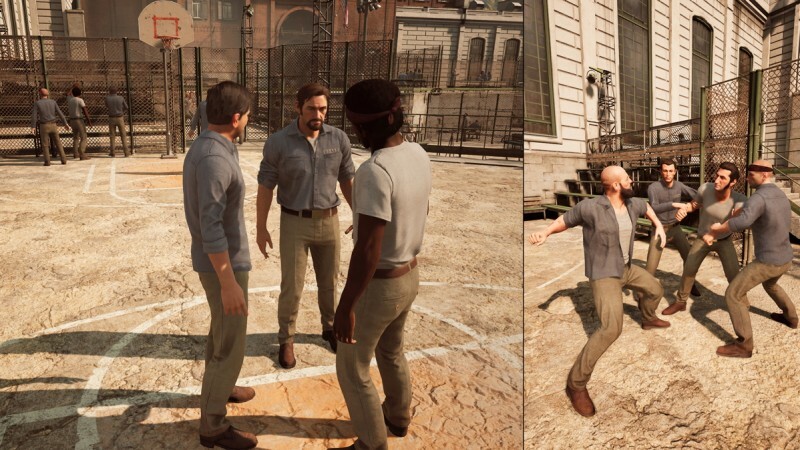 A Way Out's co-op vision is a bold choice that works because it uncompromisingly places players in a co-op context, joining them onscreen and off. But given the weakness of the gameplay at times, perhaps the game isn't bold enough. 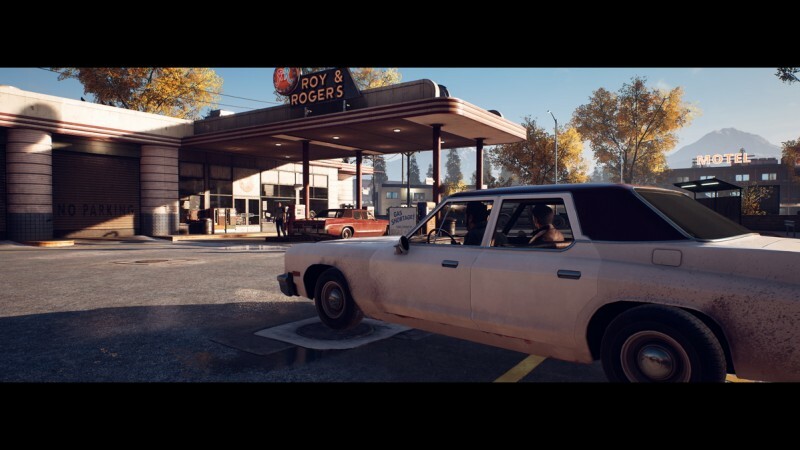 The co-op-only game creates connections, but that doesn't mean it always hits its intended mark.